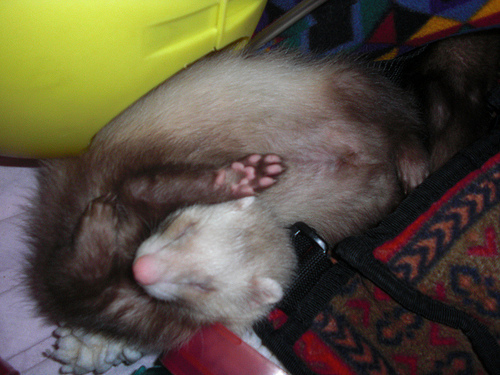 Do ferrets get colds? Yes, unfortunately, they do. Usually, the cold only lasts a few days and they will be back to normal in no time. 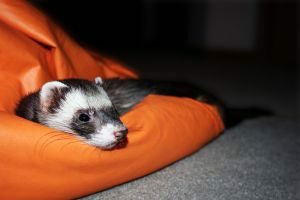 If your ferret gets a cold and has these symptoms, here is a good remedy that will help them beat their cold/flu. Amoxicillin 2x daily. (check with you vet for proper dosage). I usually use about 1 ml in syringe, which works well for adult ferret. One 2 inch ribbon of Nutra Stat or Nutra Cal. 1/2 eye dropper of Vita-Sol in water bottle daily. 1/2 water, 1/2 pediolite in water bottle. The cold will last about 2 weeks but will lessen each day. Call your veterinarian immediately for an appointment and Follow vet instructions.